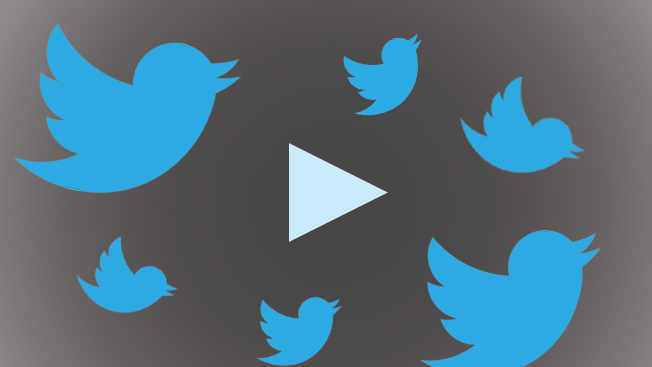 Twitter is now ready to serve autoplay video, which has the potential to change up the experience on the platform with richer and more engaging media. Autoplay video has become a standard format in social media and one that is supported by advertisers, who like the fact that their content makes more of an impact. The company says it has taken a hard stance in one important area that could give it an advantage over rivals in social video: viewability standards. It is promising only to charge on video ads that have been seen 100 percent in full view of the user. "We're putting this standard of 100 percent viewability in place because we think it's simply the right thing to do," David Regan, senior product manager at Twitter, wrote in the company's blog announcement on Tuesday morning. "If a video is not 100 percent in view, we don't think an advertiser should be charged." Twitter has been experimenting with autoplay styles for months, while conferring with marketers about what features work best. Today, Twitter revealed it would start showing autoplaying versions of videos, Gifs and Vines—the six-second looping clips from its sister app. "During the autoplay tests we ran, we saw people engaging with videos in this new format at a much higher rate, and our brand and publishing partners saw improved view rates," Regan stated. "All of this resulted in lower cost-per-views for marketers and increased video recall by consumers." Twitter said it is charging advertisers on videos that appear 100 percent in view on users' screens for at least three seconds, a standard that is similar to Facebook's three-second rule on when views count. The videos play silently until a user clicks on them for a full-screen view with sound. Facebook helped make the autoplay, in-feed video popular with advertisers, and the format helped the social network grow to 4 billion video views a day. Both Facebook and Twitter are looking to increase the quality and quantity of video on their platforms to compete with the likes of YouTube. The Interactive Advertising Bureau and Media Ratings Council's viewability standard calls for ads to be viewable for two seconds, with 50 percent of the player in view. Twitter says it is in talks with Nielsen and MRC-verified viewability vendor Moat to provide independent viewership stats. Users were 2.5 times more likely to prefer autoplay over click-to-view or thumbnail previews on videos. Ad recall was 14 percent greater on autoplay-promoted videos versus other formats. Completion rates were seven times greater on autoplay compared to other formats.